In October 2016 we were lucky enough to attend the Celebration of Life event held at Collingwood Town Hall in Victoria. Organised by Paul Brophy from the Brotherhood of St Laurence and Father Bob Maguire, the biannual event has been successfully running since 2006. This year’s theme was ‘The Pirates of Punt Road’ and residents from 20 different aged care facilities came together to dance, make friends, and have fun! Students, families, staff, friends, and volunteers all got involved too – there was even a fantastic 27-piece band called the Huffers and Puffers! It was so great to see people from all different backgrounds coming together and enjoying themselves – some of the residents had some awesome dance moves! We can’t wait for next year’s event: Brophy’s Space Odyssey, lifting off in May 2017! 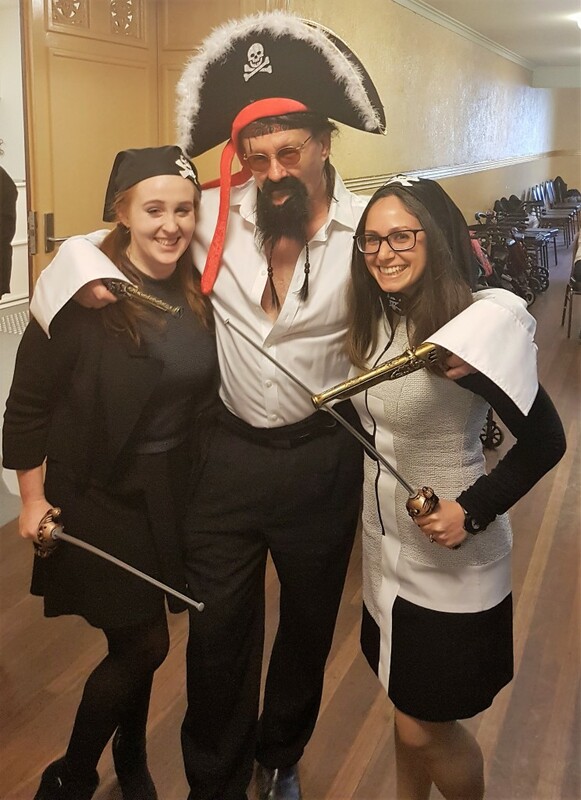 Paul Brophy and the PA team get their pirate on!